Thomas Ind is one of the leading Robotic Gynaecological Surgeons in the UK. He performed the first Robotic Gynaecological procedure in the UK in November 2007 and since then has performed a variety of procedures including cancer surgery and surgery for fibroids & endometriosis. 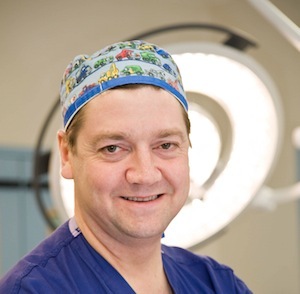 He regularly lectures on robotic surgery and is a member of council of the both the British and Irish Association of Robotic Surgeons (BIARGS) and British Society of Gynaecological Endoscopy (BSGE). Thomas Ind performs robot hysterectomy, robot myomectomy, robot uterine cancer surgery, robot cervix cancer surgery, robot endometriosis surgery, and other robotic and laparoscopic proceedures.